To retire early is to choose to leave money on the table. Not only are you losing income for every year you elect not to work, but you also have less to invest, and fewer years for your investment accounts to accumulate interest earnings. You will also have more years to draw on your retirement savings, meaning you have to live more frugally to make your savings last. Thus, most of the time, the wiser choice is to work until full retirement age. That said, some circumstances justify a different choice. Sometimes your health pushes you into an early retirement. As a pilot, you travel for long periods of time, which can take a huge physical toll over the course of your career. In addition, you must pass a flight physical in order to work. Very often, we hear about back, spine and nerve issues due to years of sitting in the cockpit from our clients who are coming to the close of their career. Should these or other problems with your physical health arise, you may be forced into or need to consider early retirement. There are also various scenarios with the long-term disability program at your airline that should be considered before taking any action. The mental and emotional strain could also lead you toward retiring early. You travel for a living, and may not have the time at home or with friends and family that you would like to have. For some, this can create problems that you cannot resolve while you continue your career. Similarly, you have to balance your financial needs against the needs of your family. Your personal physical and mental health aside, you have responsibilities to your loved ones as well. Sometimes a spouse, a child, or a relative needs you present in a way that you cannot be as an active pilot. In such circumstances, part of your equation is determining whether an early retirement allows you to take care of your family financially. Your ability to be there for the people you love sometimes reaches limits based on your continued ability to provide for them and for yourself. You need to plan carefully when weighing your options in this respect. Finally, maybe you’ve done the math and looked at your future goals, resources and expenses and decided that you have enough to retire and that you no longer have the motivation or find enough enjoyment in your work to put on the uniform and go fly. This is a wonderful position to be in, but make sure you have considered every variable and are aware of any issues that might trip up your plan. A few examples of such issues could include how to pay for healthcare after retirement, but before reaching Medicare age, or what might happen if a large market correction coincides with your retirement. Opportunities for early retirement often look tempting, for a myriad of reasons. Before you make any final decisions, take the time to look through the hidden costs this decision could bring. Most of the time, you stand to lose substantial retirement income. Be sure you have planned and saved enough to afford and be comfortable throughout an early retirement. 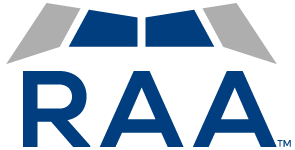 RAA has helped many people just like you evaluate whether or not it makes sense to retire early. If you are considering leaving your airline before you reach age 65, schedule a quick call with RAA to see if this decision makes financial sense for your unique financial situation.